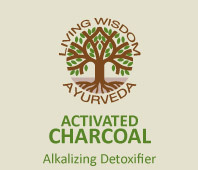 A powerful product for removing all kinds of toxins out of the system. Alkalizes and reduces the detox symptoms of a fast, absorbing food poisoning and the negative effects of alcohol & recreational drugs. Made from organic bamboo, especially processed to increase its absorbency, this organic bamboo carbon is highly alkalizing. With a highly activated negative ionic charge, it attracts the positive charges of toxic substances, binds them & carries them out of the body. Instructions – Use for reflux or acid stomach, detox headaches & nausea, the ‘morning after’ hangover feeling (prevention being better than cure – take the night before sleeping). Take 2 capsules at a time at least 2-3 hours apart, with water – no more that 4 x a day. Take away from supplements or medications as it will absorb their effectiveness. Ingredients : 100% organic activated bamboo charcoal.